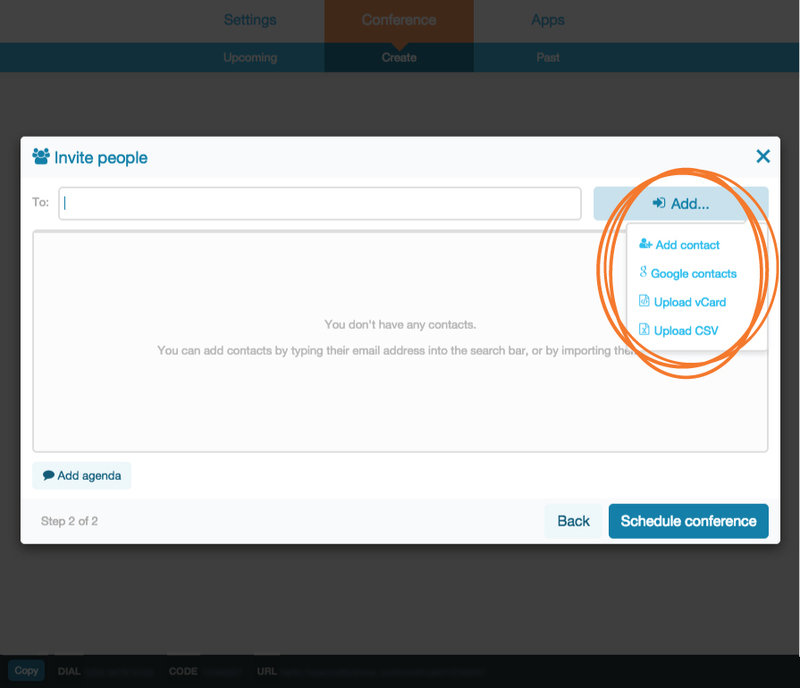 This post addresses how to bulk upload your contacts to FreeConference Beta, which can be done in two ways. 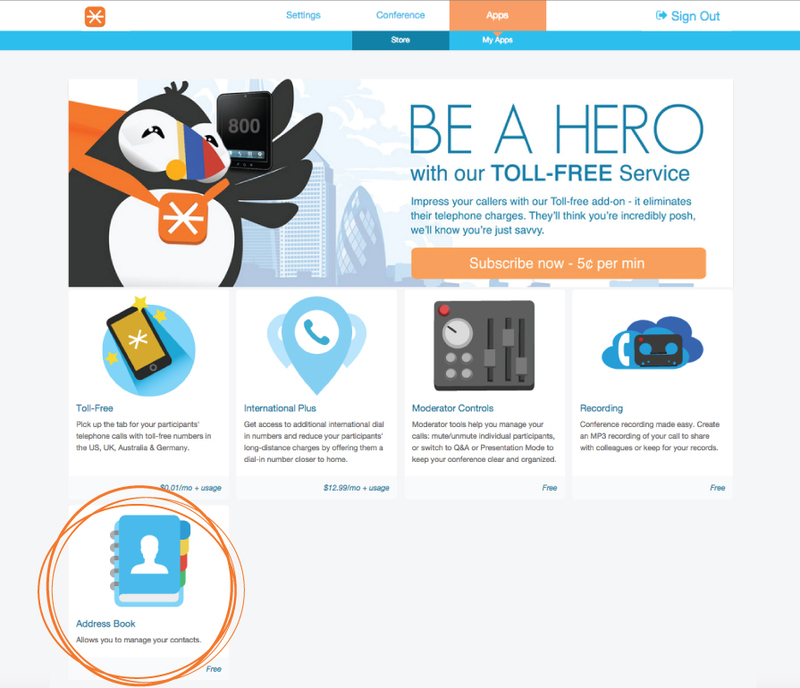 Click “Add” while adding participants to a call to bulk upload your contacts. Click Add and you will be given the option to add an individual contact, import the contacts from your Google contacts, or upload a vCard or CSV file. From here, you’ll be guided through the upload process. The second way to bulk import your contacts is from the Address Book page itself, which can be accessed through the Apps. 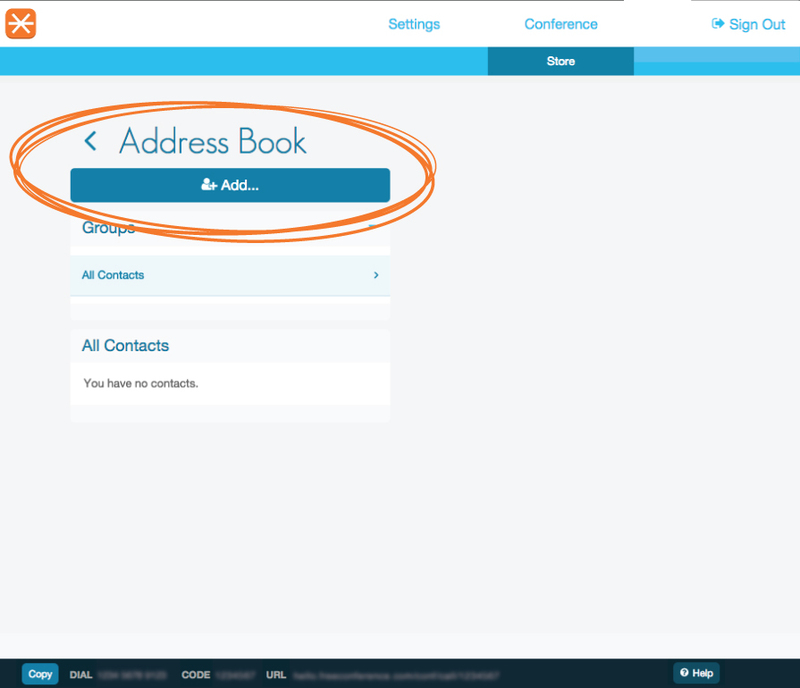 You only need to click on Address Book and then click on the blue Add bar, from there you can choose to add a single contact, import the contacts from your Google contacts, or upload a vCard or CSV file. If you experience any problems please contact our support team by clicking “Help” on the bottom-right of any FreeConference Beta page – they’re always happy to help.